The world is not a comfortable place just now. But, let's keep this in perspective: it is never comfortable, never has been, never will be. For most people with a pulse, life is tough and good times should not be taken for granted. Yesterday, spending an hour with a group of teenagers on a big outer-Bradford estate, we looked at who pays the price when we buy cheap clothes in England or drink coffee from companies that pay no tax here and probably don't pay the coffee growers a living or just price for their beans. We do injustice and greed far better than we do justice and selflessness. Italy is paralysed – demonstrating that Europe's financial crisis is more political than it is economic. It has to do with consensus, leadership and will… and not primarily the availability of cash. 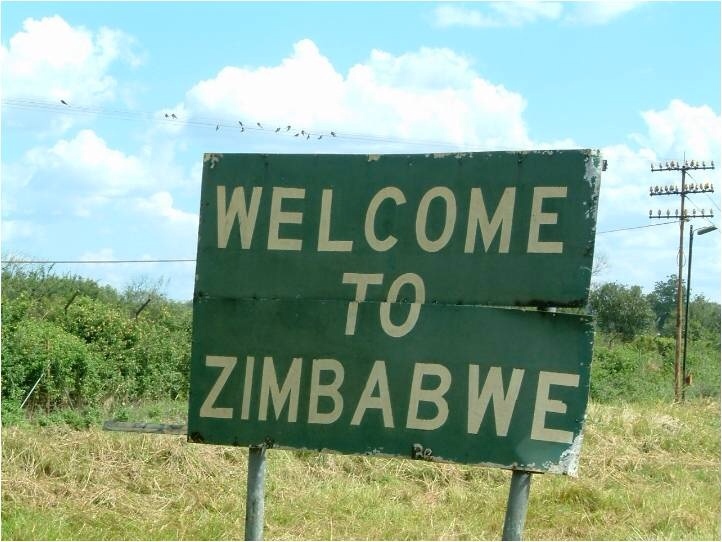 Zimbabwe looks towards elections and the old tactics of violence and threat are already beginning to colour the process as Robert Mugabe seeks the protection of office (again) at the age of 89. Even the Pope can't persuade him to do the decent thing. And who suffers? Well, the 'wrong' tribes, for starters. Just a few weeks ago we were in Sudan. President Bashir, already indicted before the International Criminal Court on charges of genocide in Darfur, continues to pursue what can only be described as ethnic cleansing in Darfur and the Nuba Mountains. Stories are coming out increasingly that allow no doubt of the nature of the oppression being exerted by the Khartoum government against its own people. And there lies the nub of the matter: 'its own people'. The Africans are not seen by the Arab masters as their 'own people'. The Africans are aliens who should go south or disappear. Like all such cleansings – and here, despite the claims of the government, it is clear that the roots of Sudan's bombing and terrorising of civilians is ethnic and racial – people are reduced to categories that then become dehumanised: it is easier to get rid of them, if they cease to be 'people' and become simply 'objects that conform to a categorical type'. See Rwanda, Nazism, etc. Today serious questions will be asked in the British parliament. Bishops will be urging action by the British Government and its partners in the face of Sudanese indifference to international rhetoric. These bishops are extremely well connected to the grassroots realities in Sudan (as many other places in the world) because we have very close partnership links with dioceses and bishops there. This means we get to see ordinary people living their ordinary lives away from diplomatic environments or media theatres. After Rwanda we said we would never let this happen again. As Baroness Cox said on BBC Radio 4 this morning, “'again' is happening now”. This is the basic text of this morning's Pause for Thought on BBC Radio 2's Chris Evans Show. Search blog for 'Sudan' to read posts. I guess most of us have at some time in our life entertained some romantic ideas about exotic places we dream of visiting one day. I remember reading Antony and Cleopatra – Shakespeare, not the Carry On version – when I was at school in Liverpool and imagining the River Nile. Plagued with queen-biting asps, obviously. Well, a few weeks ago I actually went to the Nile. In fact, I went to both Niles: the Blue and the White. 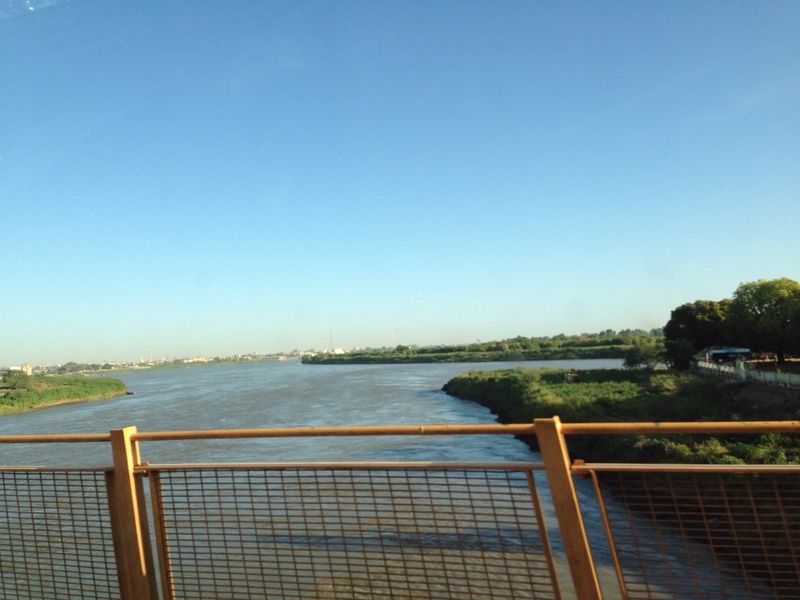 We were visiting Bradford's link diocese in Sudan and every day drove over the bridge in Khartoum where the two rivers converge before heading north to Egypt and so on. I'm not colour-blind, but I tell you: both the Blue and the White Niles look brown to me. Life is tough for many of the people we were visiting there in Sudan. Outsiders and foreigners are being told to leave, and southerners are being sent… er… south. Now, the reasons for all this are complicated and the politics somewhat controversial; but, what we saw was the human cost of other people's privilege. Put simply, when life gets tough between different peoples, the easiest thing to do is separate… grow apart deliberately. But, the solving of one problem doesn't bring peace – it simply creates more problems and causes lots of misery for the ordinary people who have to pay the price of powerful people's greed and vanity. 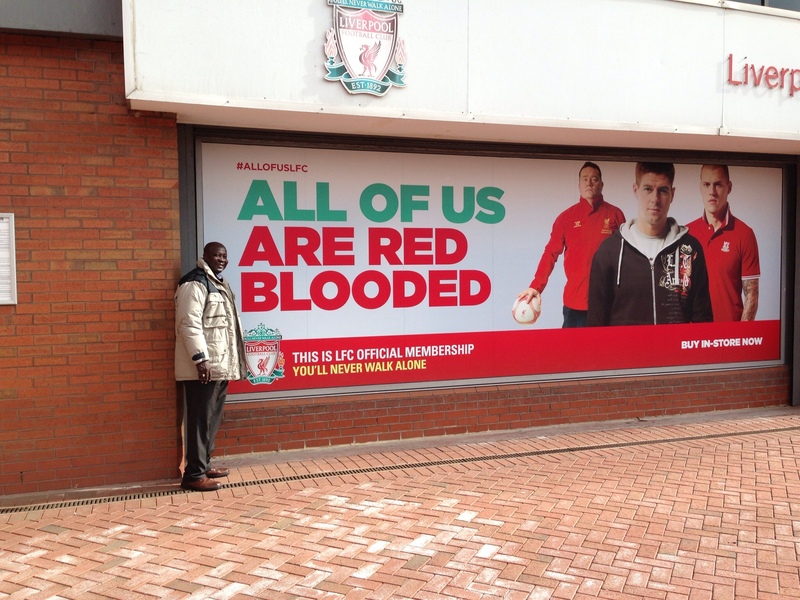 But, we in Bradford are bound up with our friends in Sudan and, whatever happens, we will stick by them. An hour after we left our guesthouse for the airport at one in the morning, the house was raided, guests taken in for questioning, and the place confiscated by the security services. It might be a world away from Bradford and the Yorkshire Dales, but, like the Blue and the White Niles, we have converged and cannot be separated as we travel into the future together. Disappointingly, I saw no queen-biting asps. This morning (and afternoon) we drove for ages to a poor settlement north of Khartoum, populated by people displaced from the Nuba Mountains. Not all have been displaced by war, however; some came to the city in order to get their kids better educated. Urbanisation claims more victims who thought they were moving towards opportunity and instead met vast indifference and poverty. Several churches had come together and we were led into the newly-built but unfinished church by choirs of women. The service went on for ever – even though I kept the sermon relatively brief. It was brilliant, loud, funny, and moving. We even danced… And then we ate. Having left our base at 10.15am, we eventually got back around 6pm. 1. 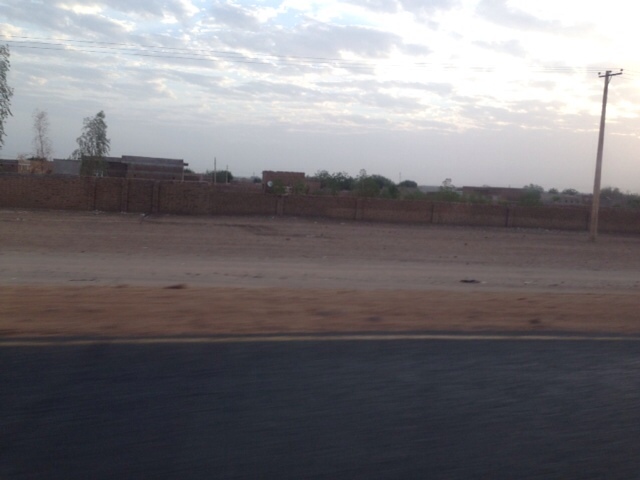 Never ever ever drive in Khartoum. That is NEVER. It is unbelievable – only comparable to Jakarta in my experience. 2. These are uncertain times for ex-pats in Sudan. People are being told to leave almost every day. Others are being visited by the security services. I can't see this changing in the short term, and I would not be too hopeful unless I was employed in a business linked to the government. 3. 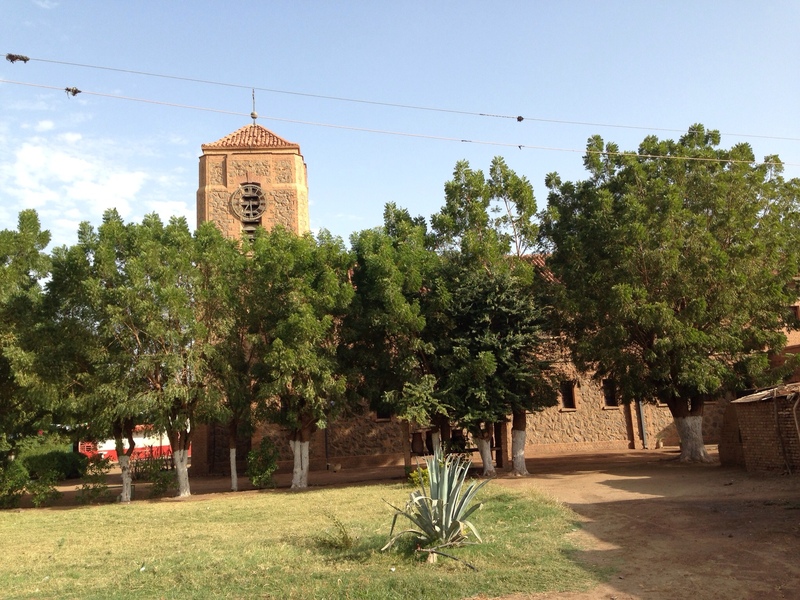 The Episcopal Church of Sudan is resilient, but is suffering from the forced departure of southerners – many of whom exercised leadership and responsibility in and through the church. 4. People with little are incredibly generous. 5. Any simple analysis of why things are happening here is probably wrong and simplistic. Politics, culture, race, religion and language form a complex in a country where the drive is to homogenise into a single race, a single culture, a single religion (Islam), with a single language (Arabic). 6. Racism isn't the sole preserve of white people. 7. Watching the look of misery on Alex Ferguson's face (when Spurs scored the equaliser in the last minute of today's game) is as sweet in Africa as it is in England. 8. You can do less here than at home because the heat is draining. A Sudanese idea of 'a long day' sounds feeble until you try to do it. 9. Sudanese Christians want to know they are not forgotten, that their story is being understood and told, and that their plight is being recognised by advocates in the right places. 10. Never ever drive in Khartoum. Never. Ever. Be driven, but even that is hairy. So, now to try to get home. 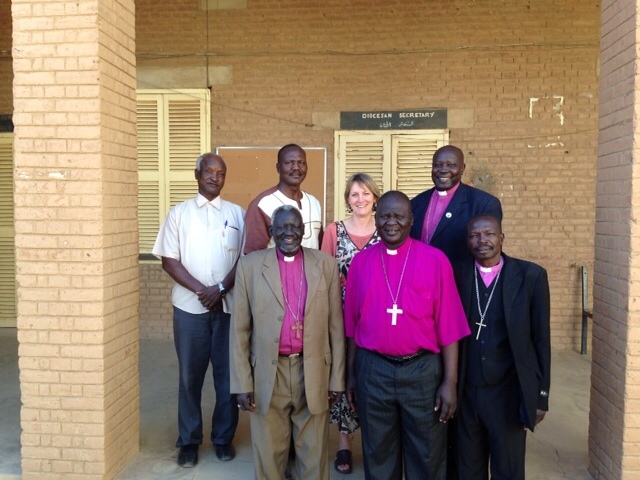 This morning we met with four of the bishops of Sudan. Each explained the situation in their own diocese and we had a very fruitful conversation about how we can best build on our relationship to mutual benefit. The talk was open, honest, trustful and opened several doors to future work together. One bishop was missing. Andudu, Bishop of Kadugli, is in Juba, Southern Sudan, as he is unable to return to his own diocese for reasons of safety. In June 2011 he was in the USA for medical treatment when Sudanese forces started their attack on the Nuba Mountains. While there he made some comments – perhaps without on-the-ground direct knowledge – and the Sudanese government took exception, making it impossible for him to return without endangering his life. His family is in Uganda. He was represented at our meeting this morning by one of his Canons who has had to flee Kadugli and is being cared for by the Diocese of Khartoum. The situation has confused me a little – the rhetoric in the UK sometimes attributing motive and consequence where convenient, but not making complete sense. I fully accept that this might be evidence of my stupidity rather than a comment on the people doing the reporting or commentating. I could not understand why the bishop (and others could not return, especially as it is more peaceful in some areas right now than it has been). Today I began to grasp it (although what follows is not intended to be a full analysis). The Sudanese government is attacking supporters of the SPLA. 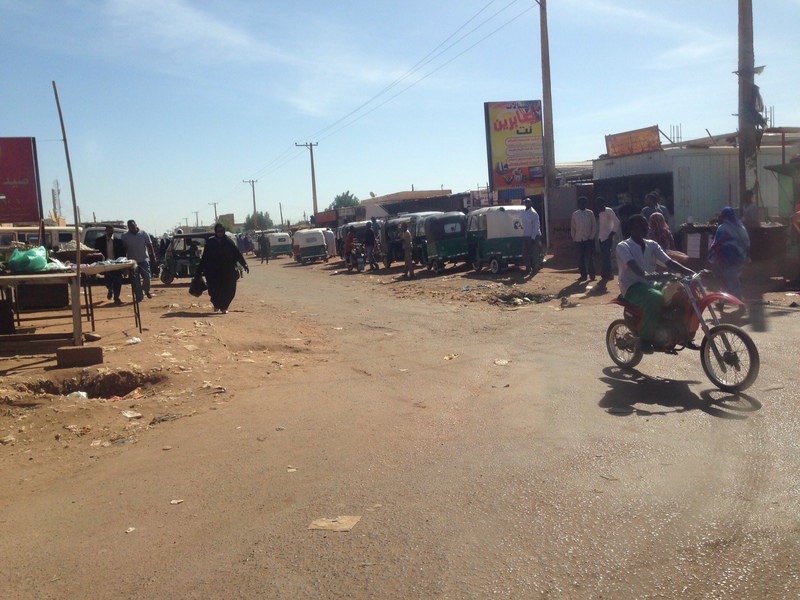 Kadugli itself is under government control, but other areas of South Kordofan are controlled by the SPLA. Thousands of people have fled and the humanitarian cost is being paid for by neighbouring states which are absorbing them. However, the government does not want a repeat of Darfur and, so, has prohibited the erection of refugee camps. This means that people escaping have to find their way to relatives in other cities – leading to families of ten or twenty living in very tight accommodation that was already overcrowded with a single family. 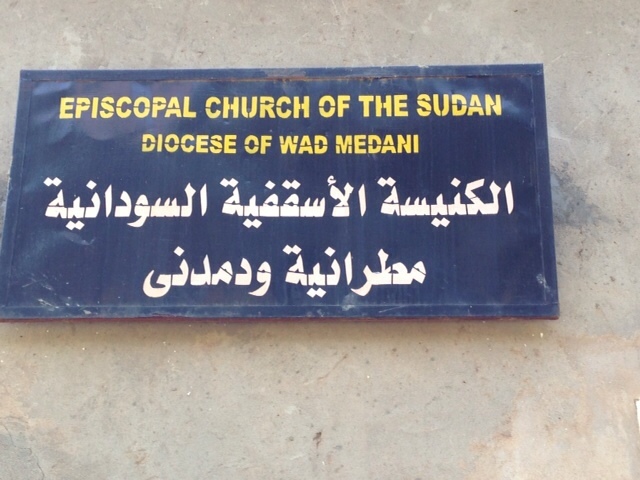 The other dioceses are caring for the refugees who exited by the gateway of El Obeid en route to places like Khartoum. These people have nothing and the people looking to help them have little. More could be said, but suffice it to say here that the courage, tenacity and quiet commitment of the bishops and their people to care for these displaced people is admirable. Last year I launched a 'Kadugli Appeal' in Bradford and so far we have raised £100,000 to enable these people to feed and assist those displaced. 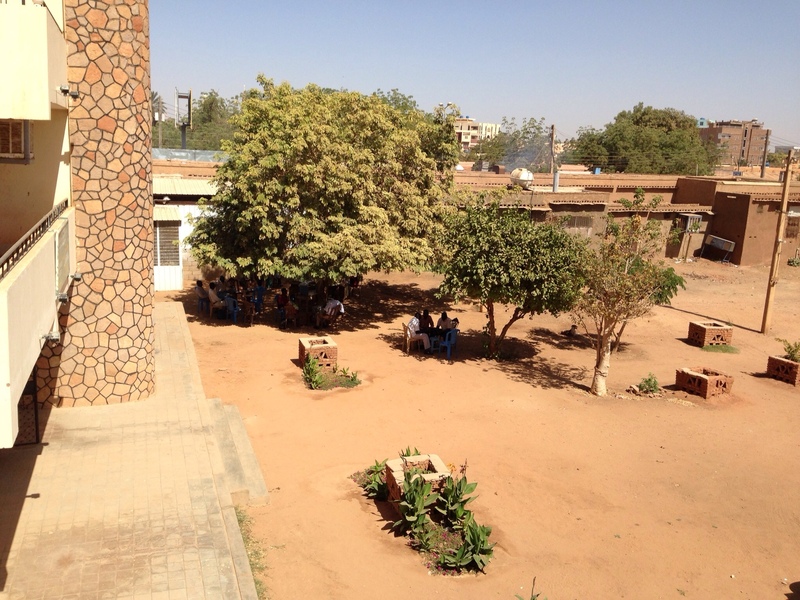 Of course, the need goes further – for example, children being absorbed into church schools in Khartoum – but at least something useful is being done. Each diocese in Sudan faces this need for care of displaced and often traumatised people at the same time as losing some of their leading people to the South. This is another matter to which I will attend when I return to Bradford next week. But, the challenge is enormous… and is being tackled by good people with quiet determination and a shed load of love. It is very humbling. It is also clear that government attacks in South Kordofan cannot be reduced to simple categories of political allegiance, race or religion, but is shaped by various mixtures of all three. Any analysis that seems simple… is probably wrong. Our conversation went beyond the diocesan situations to wider issues such as the influence of Saudi Arabia in Sudan and other parts of the region. I was reminded of the need for people like me (who are involved in global interfaith dialogue) sometimes to check the western liberal perspective and look through the lens of Christians in places like Sudan where Islamic rejection of conversion from Islam to Christianity is more than an academic matter. Enough said… for now. It is salutary that I have just started reading Walter Brueggemann's 2012 book The Practice of Prophetic Imagination. His starting point is that Christians operate in the real world with a 'narrative' that refuses to accept the 'dominant narrative' of the world in which we live. Without ducking the challenges of this, he maintains that Christians must constantly rehearse their own narrative, with God at the centre… even though this God is rejected in the world's dominant narrative (which he later describes as 'self-invention, competitive productivity and self-sufficiency' resulting in 'military consumerism'). Against this, the Christian narrative has to do with 'wonder (instead of self-invention), emancipation (instead of the rat-race of production), nourishment (instead of labour for that which does not satisfy), covenantal dialogue instead of tyrannical monopoly or autonomous anxiety), a quid pro quo of accountability (instead of either abdicating submissiveness or autonomous self-assertion), waiting (instead of having or despair about not having)'. His point – which (a) he draws out from both Old and New Testaments and (b) reflects the call to responsibility as the heart of freedom that Joachim Gauck speaks about in his little book Freiheit: Ein Plädoyer – is that the world's narrative does not prove adequate (see how an obsession with security leads to massive insecurity, for example), but that this is too often not recognised or appreciated… even by Christians who are supposed to sing from a different hymn sheet. You'll have to read the book to get the point, but Brueggemann bangs the drum he has been beating in almost all his writing and preaching: that Christians must refuse narratives of defeat, ending, destruction and loss by holding to one that affirms perseverance, newness, creation and hope. “Choose life,” is the challenge of the Deuteronomist – which assumes that choices must be made and responsibility taken for those choices. In other words, Christians cannot be escapists from the challenges of power in the world, but, rather, challenge that world's assumptions (and exertions of power) by choosing to live differently in it. It is perhaps not surprising that this reads with particular power here in Sudan as the day draws towards its close and the Muezzin calls the people to prayer.